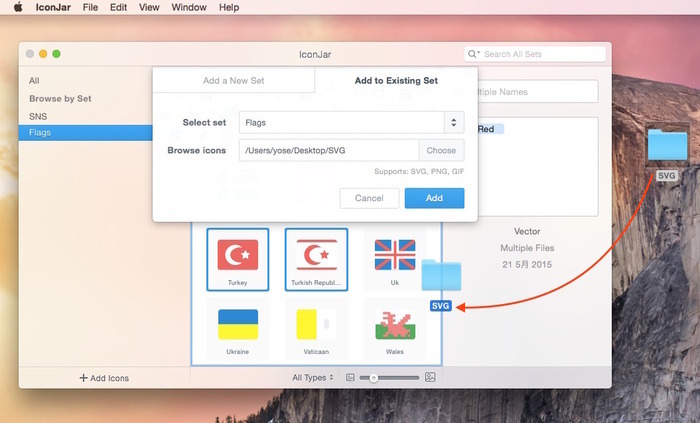 SVG, PNG, GIFなどのアイコンファイルをタグ付けし管理ができるMac用アプリ「IconJar」がベータ版を公開。 | AAPL Ch. What file types can I import into Iconjar? Our app supports SVG, PNG and GIF files. The reason why we don’t support files like PSD’s or EPS is pretty complicated. We can’t promise we ever will support any of those files types but in the mean time SVG’s give you the same freedom as the other source files do.